The final 2016 presidential debate had plenty of hot-button issues that could comprise a list of voter referendums that are viewed as critical decision points in this election. The moderator, Chris Wallace of Fox News Channel, was tasked with ensuring that each candidate focuses on answering the topics while managing the clock for 90 minutes. It was no easy task, but Wallace performed well despite starting the debate with a politically polarizing topic: the Supreme Court. So, here’s the breakdown of hot debate topics. Debate watchers were quickly engaged as each candidate discussed their respective conservative and liberal selections for Supreme Court justice nominations. But it didn’t stop there. Depending on who was talking, the discussion quickly veered right and left on the issue of the Second Amendment and abortion. Trump discussed his pro-life position and graphically described his views on late-term abortions that occur in the seventh, eighth, and ninthÂ month of pregnancy, as well as his thoughts on appointing conservative justices to overturn Roe vs. WadeÂ if elected. But some conservatives think Trump didn’t go far enough because he did not say that he wants the decision to be repealed. Meanwhile, Clinton seized the moment to make a stark contrast by holding steadfast to her pro-choice views regardless of the term of pregnancy. She also stressed the point that medical centers like Planned Parenthood provide healthcare needs beyond reproductive services that shouldn’t be defunded by the government. Each candidate energized their base but it’s too early to tell what impact it will have on independent and undecided voters. 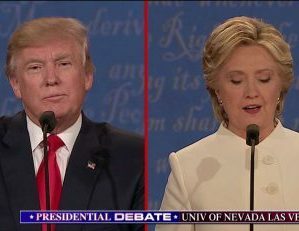 As for the topic of the Second Amendment, both candidates claimed to be committed to protecting gun rights while not offering specifics on what actions should be taken to curb gun violence. Well, Trump didn’t surprise anyone with his stance that nobody respects women more than him. It remains to be seen what will stem from the steadily increasing number of women that allege being inappropriately touched by Trump. While some of the statements from the accusers have been debunked, there are a host that are still lingering without much information to prove or discredit, so time will tell if they get adjudicated or fade away. Meanwhile, when the table was turned on Clinton and the Clinton Foundation, she likewise held a similar stance that she did nothing wrong and blamed the Russians for the focus on the foundation, the campaign, and other elements of her character. Like Trump’s situation, will Clinton’s ethical and trust issues dissipate or continue to be reviewed by the same system that gave her the nomination. Unfortunately, neither candidate has a plan to reduce the national debt that currently amounts to more than $19 trillion. However, there is a clear distinction in tax plans that arguably have a chance to create the growth needed to provide gainful employment for most Americans, while creating a fiscal surplus and reducing the national debt. Despite the views of where the tax burden is felt the hardest, it is undeniable that 45% of Americans pay no federal income tax, while the majority of the federal income tax load is felt by top income earners. On the creation of jobs, it is clearly a battle of ideology and economic principle. The electorate must decide if higher taxes on entrepreneurs and the wealthy will be the solution to new private investment or will a reduction of the federal tax burden on job creators and cash held overseas by large corporations incentivize growth; American growth rate above the current dismal rate of 1.2% for the second quarter. Lastly, Trump made a fiscal point by highlighting that America spends billions annually to militarily protect other nations at the expense of U.S. taxpayers. Essentially saying, foreign countries should pay the U.S.–in hard dollars or buy more made in America products–for the protection instead of going into debt to do so, while U.S. citizens need good-paying jobs, affordable healthcare, and access to good education. If anyone was hoping for some new developments in this area, it didn’t happen. The candidates didn’t offer anything that differed from what they previously proposed. However, Trump used the term “bad hombres” to described a cohort of Hispanics, which is being debated on social media over if it was appropriate or not. The Twitter hashtag #BadHombre will provide a good sample of the sentiment among voters that found the use of the term unfavorable. But Clinton has yet to clarify her position on ‘Open Borders’ that many Republicans, Independents and Conservative Democrats believe suppress wages and places a burden on public services such as education and healthcare. This reminds me of Democratic Congresswoman Barbara Jordan’s (also joined by Congressman Charles Rangel) claim in the ’90s that uncontrolled immigration hurts Americans, namely communities of color. If this economic view was true 20 years ago, then theÂ impact of unfettered immigration has exponentially worsened since her speech. There is so much to say here, but I will keep it brief and to the point. Clinton went on the attack and blamed Trump for his cozy relationship with Russian President Vladimir Putin. Despite Wallace’s questions relating to the content of the egregious Clinton campaign emails provided courtesy of WikiLeaks, she pivoted and blamed Trump for the cyberattacks that allegedly came from Russian sources as the White House has reported. Well, Cardinal Timothy Dolan strongly believes that Clinton should disassociate herself with anti-Catholic statements made by her campaign and offer an apology. 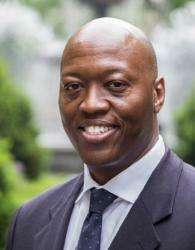 This article was written byÂ John Burnett, anÂ Urban Financial Freedom Fighter. John has over 20 years of executive experience at some of the world’s top banks and business information companies. He is an adjunct professor at Hampton University and Metropolitan College of New York. John is a strategic advisor to New York Republican State Committee.